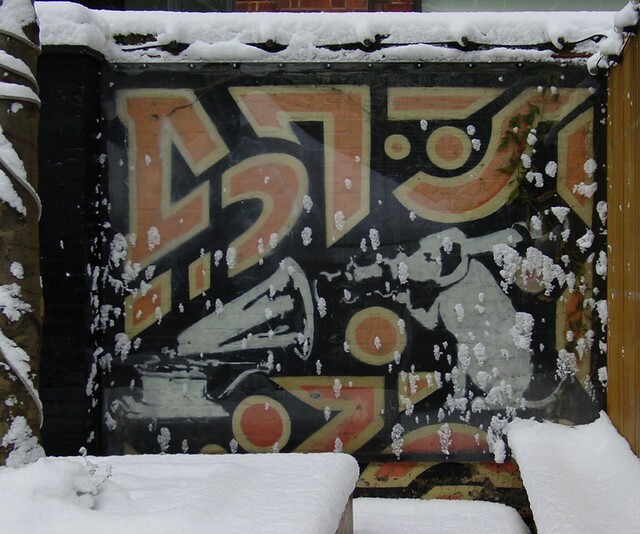 Street art is by nature generally ephemeral but every once in a while a piece of street art thrives for years so it’s informative to see how those pieces fare. 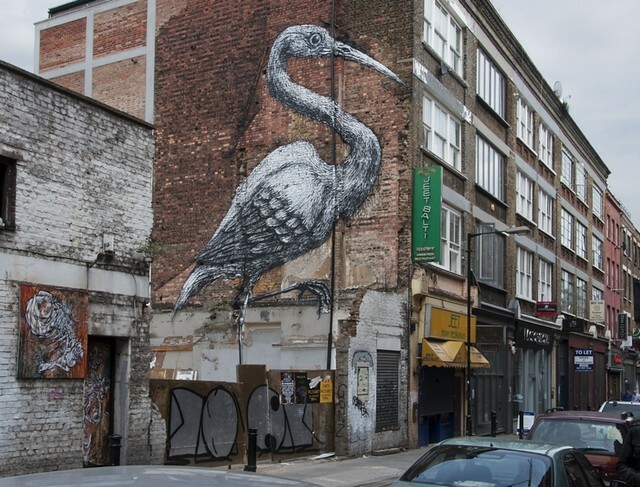 Usually the things that enable a street art piece to survive are either plastic protection, as is occasionally the case for Banksy (2001) or inaccessibility, such as ROA’s Crane (2010) or Conor Harrington’s soldier (2008). 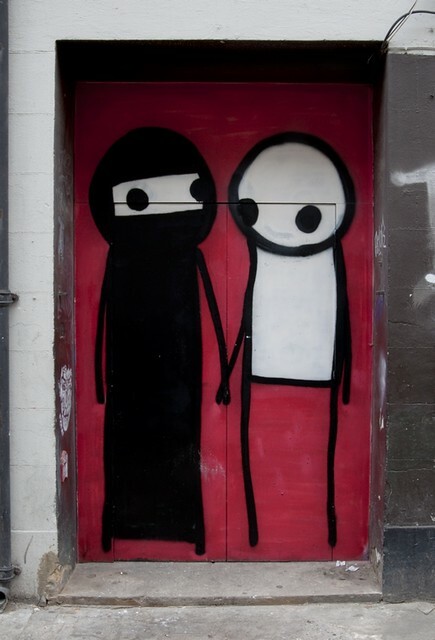 London street artist Stik painted a stunning interracial couple holding hands at ground level in Shoreditch in 2010 which benefits from none of those things, so how does this piece endure so much that just last month it was ranked number 17 in the list of top favourite UK artworks ever! 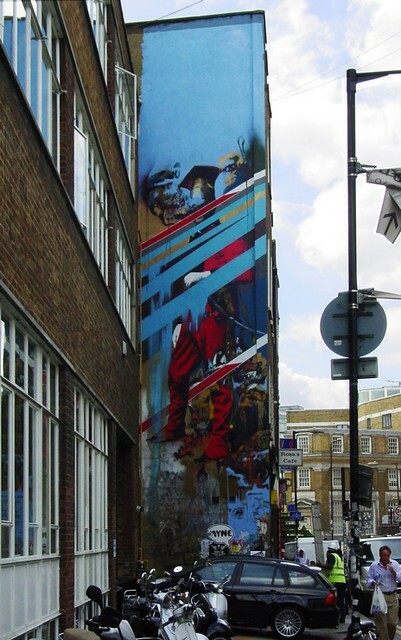 He’s sandwiched between Anish Kapoor and Maggi Hambling and hasn’t been heard complaining. 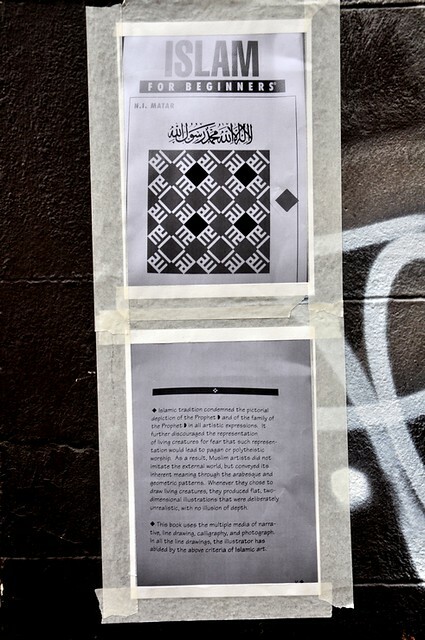 Beginning at the beginning, Stik being a savvy and nice person sought to ensure that the local Muslim community would not be offended by his intended composition, in fact to assist those of us not tuned into the relevant sensitivities Stik displayed a couple of pages explaining that his representation of a Muslim girl in a niqab and a white guy, the tendency is to presume Christian, did not breach the writings of the Koran which in simple terms forbids creating realistic images of human beings. "Flat two-dimensional illustrations, deliberately unrealistic, no illusion of depth"
It is not surprising that the obvious significance of the painting with its message of harmony and integration makes it cherished within the very strong local Muslim community but it is particularly encouraging that it also resonates with the wider UK population according to a national vote (a survey of 2000 consenting adults to be accurate). 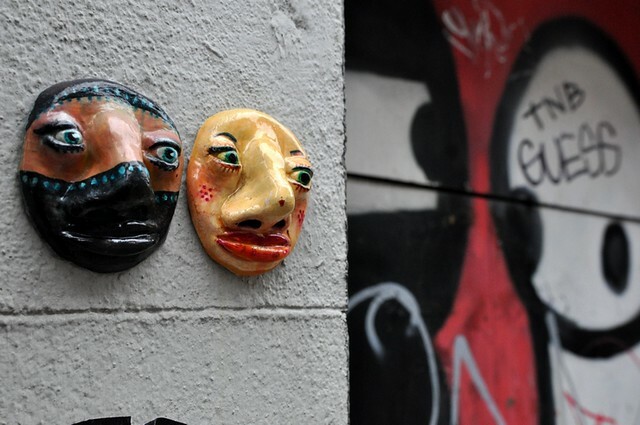 Over time the couple has endured a variety of embarrassing embellishments ranging from comedy anatomical adornments to taggers seeking cheap fame through tagging up such an immensely popular piece of art. 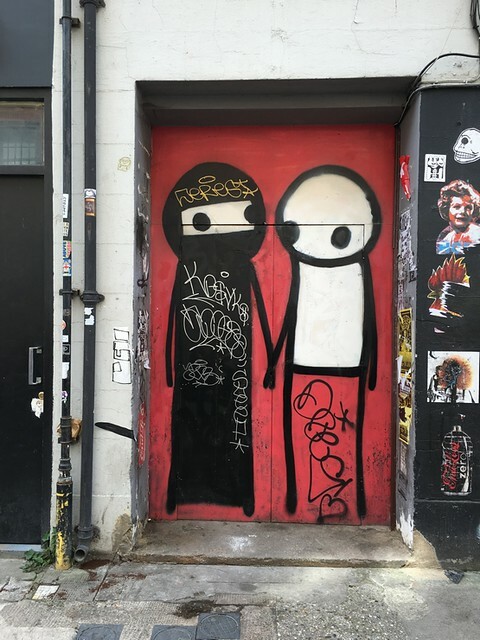 Every once in a while Stik may pass by and restore the artwork, which after all comprises comparatively simple solid blocks of colour. 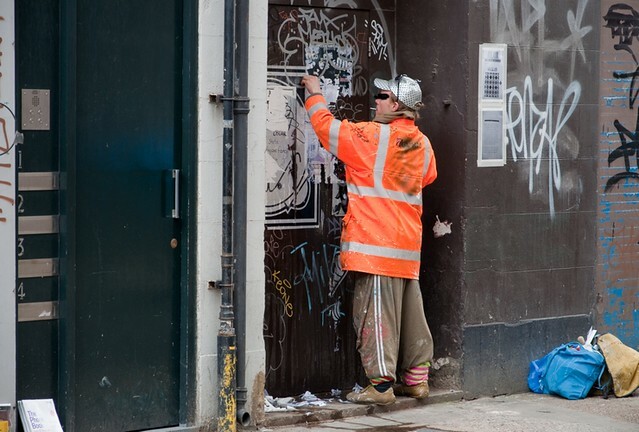 One of the most amusing interactions was Art Is Trash’s 2014 additions showing the white guy apparently putting out some anthropormorphic rubbish. 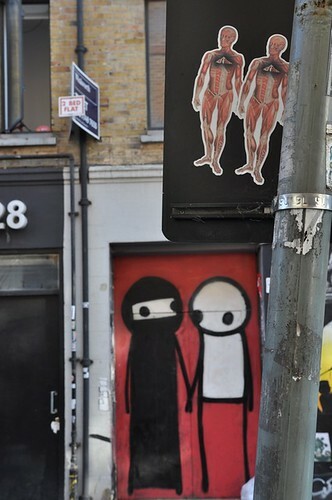 DRSC0 from Portland Oregon placed a pair of stickers holding hands in homage to Stik’s piece across the road on the back of a road sign. 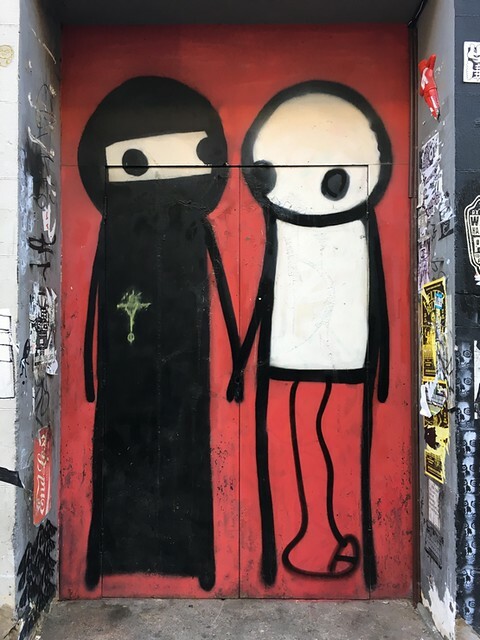 One quite stunning homage to Stik’s couple came from the unknown artist who placed a pair of complementary “grotesques” in juxtaposition with Stik’s couple rather than actually on them. Unknown artist we salute you, that was brilliant. 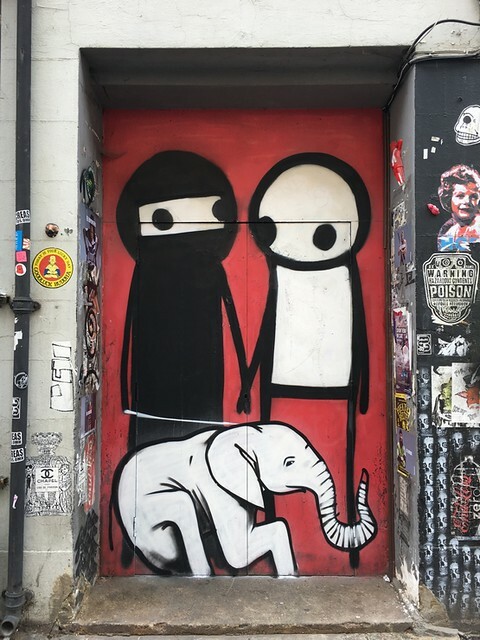 Most recently, visiting South African artist Falko made a major adjustment to Stik’s classic by adding a bonsai elephant (the word pygmy really doesn’t do justice to the obvious contrast in scale). By adding an elephant to the couple holding hands Falko has taken on a quite iconic piece of art - 17th favourite! - quite a bold move for someone whose art we don’t recall seeing on these shores before. 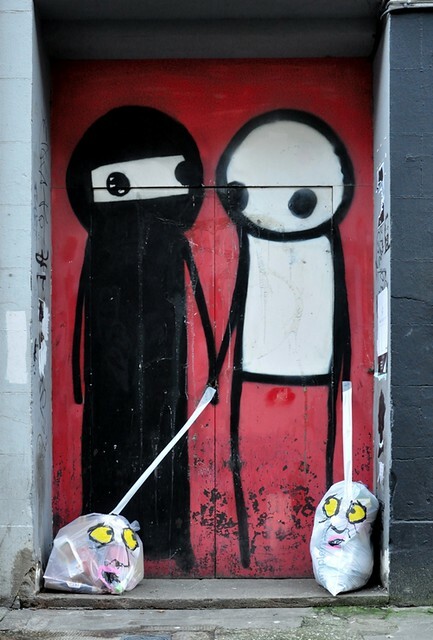 In an interview with Graffoto Stik generously described Falko’s intervention as a forced enhancement. 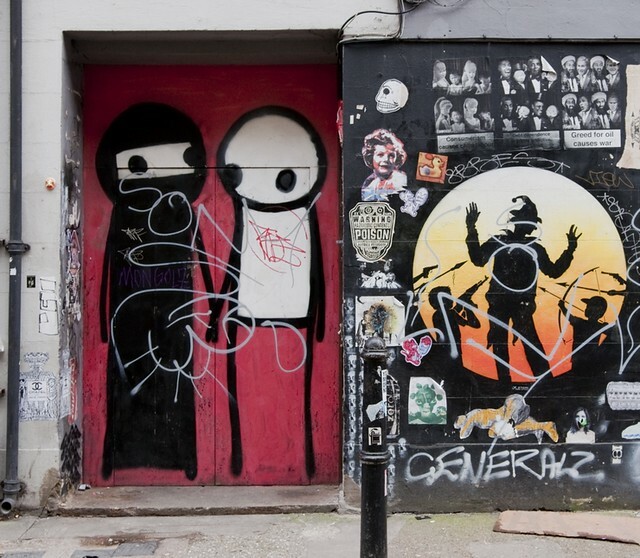 Stik knows how the game plays with street art, nothing is sacred (no pun intended) so he hasn’t flounced down to Princelet St in a fit of pique to make good the additions, though it will happen eventually. 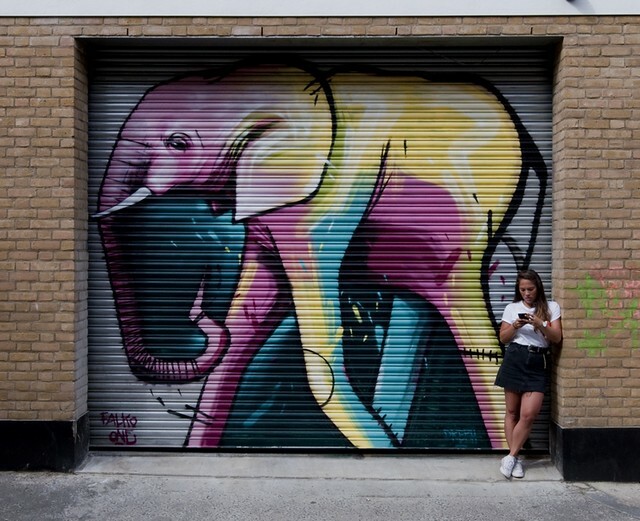 In a particularly energetic burst Falko added quite a herd of elephants in Shoreditch in a very short period of time. 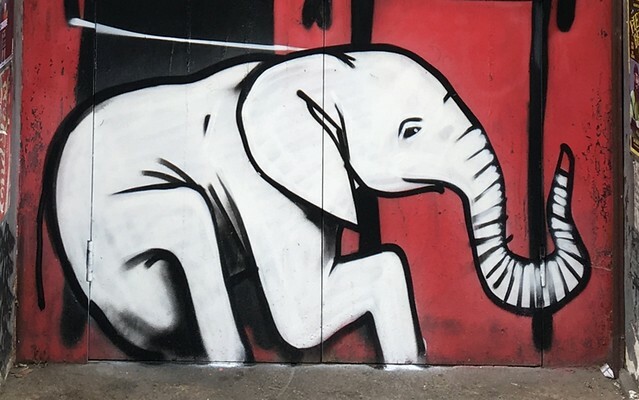 Falko’s addition provokes curious thoughts: is there a religious significance the elephant? Well an elephant would be considered haram under Islamic principals so the elephant is not going to be eaten for sure, it must be some kind of pet elephant albeit a bloody small one. The simple leash Falko has added binds the elephant to the couple, without that it would just be a small elephant superimposed on a couple holding hands so the lead is very important. Closer inspection suggests the elephant might be holding a marker pen in its trunk, perhaps the elephant is colouring in the background to Stik’s work, in a way signalling to us that Falko did actually do some restoration work this time around. Clever that, and is that a knowing little wink that the elephant is giving us? A more academic blogger might be tempted to call this post a longitudinal study of a single point in space but Graffoto is too horizontal for that.